Originaly published in Old movies for modern times on june 23rd of 2012. The story behind the score of The Godfather. After 40 years of the release of the Corleone family saga, is a fact that it has become an ageless movie. It is always refreshing to enjoy again its outstanding narrative plus its huge performances and the treatment given to the topics behind the story such as family, loyalty and power. That package would not feel the same without a fundamental detail that takes over the audience ears. The addictive melody composed by Nino Rota, known as The Godfather love theme. A melody that almost disappeared before the release of the first film, but finally became part of the identity of the movie and a narrative key element. Francis Ford Coppola was a fan of Rocco and his brothers (Luchino Visconti, 1960) and of the score that Nino Rota wrote for that story. He wanted Rota to write the music for his own film of Italian brothers. Walking at an airport Rota told Coppola that he got the tune for the Corleones and hummed it to him. The director immediately gave his approval. While the initial version of the film contained Rota’s creations in several scenes, Robert Evans the production chief at Paramount Pictures did not like it at all. Coppola agreed to make a special screening, just to test if the audience liked the music. The lucky ones who saw The Godfather exclusively for the first time, not only loved the soundtrack, they also applauded a future classic of cinema. That convinced the studio, but they allowed the filmmaker to keep the score only in some scenes. In others, Rota’s work was replaced. For example in the Hollywood sequence, before the head of the horse appears over the bed. Nino Rota had written a song called The pickup, instead the studio chose jazz music that gave a historical context. The score was nominated to an Academy Award in 1972 but it was disqualified because part of the composition was used in the Italian picture Fortunella (Eduardo de Filippo, 1958, with script by Federico Fellini). After the success of the first Godfather movie Nino Rota and Carmine Coppola, father of the director, won the Academy Award in 1974 for Best Music, Original Dramatic Score in The Godfather II. 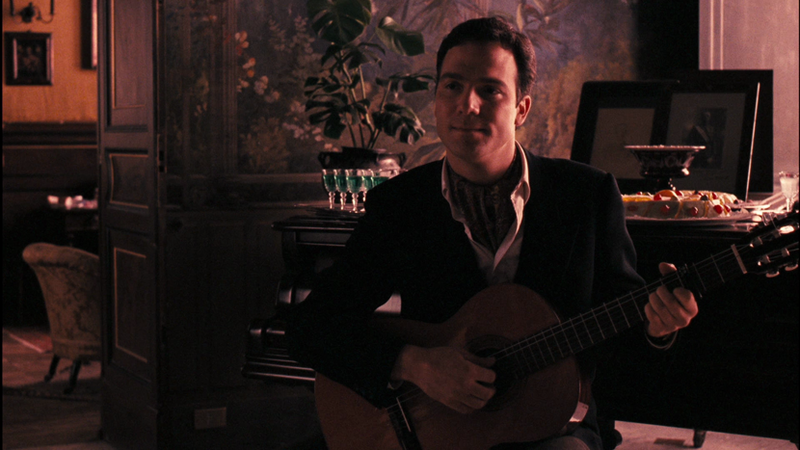 In The Godfather III, the main song appears in its Sicilian version Brucia la terra and has an important narrative role, because it works as Michael Corleone’s “rosebud”. 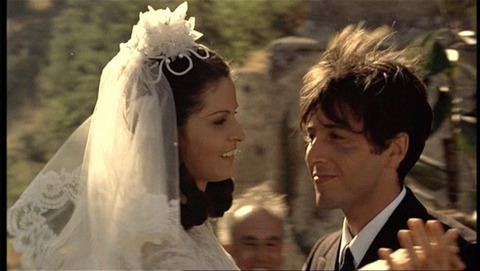 While Anthony Vito Corleone, his son, who chose the opera before the mafia, performs the song, Michael remembers his Sicilian wedding when Apollonia was murdered and then looks at his daughter Mary flirting with Vincent Mancini. He realizes that living with a gangster is living with the nightmare of death. The song has been recorded several times in its Italian version, Parla più piano, and in English as Speak softly love, with lyrics by Larry Kusic. One of the most popular versions is the one by Italian singer Gianni Morandi. Rock has tasted the Godfather sound in the electrical guitar version by Slash on stage. Even actor Dominic Chianese, Johny Ola in the Godfather II, recorded a cover, taking some advantage from his appearance in the film. Among the new versions, there is one that is particularly exciting, makes the hair stand on end and makes me desire that if Vito and Michael Corleone redeemed their sins; they will find this scene when they arrive to heaven. I’m talking about the version by the beautiful British soprano, Katherine Jenkins.